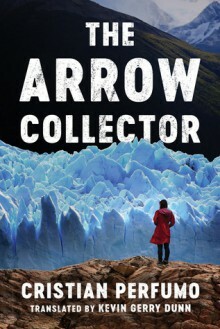 A forensic detective in Patagonia unearths an archeological mystery in this novel of buried secrets and murder from Argentinian author Cristian Perfumo. The calm of a sleepy Patagonian fishing port has been broken by murder. It’s the case of a lifetime for brilliant and headstrong forensic detective Laura Badía. The crime is brutal and baffling. The victim is Julio Ortega, a local heartthrob and an old flame of Laura’s. The apparent motive is the theft of a collection of ancient and mysterious iridescent arrowheads that Ortega had recently acquired. Carved nearly six thousand years ago out of Amazon opal, they are now missing from Ortega’s home, vanishing once again into legend. With the help of a Buenos Aires archeologist, Laura begins to assemble the pieces of a deadly puzzle. It starts in Puerto Deseado with the secrets of Ortega’s friends, enemies, and lovers. Where it leads is the panoramic reach of the Perito Moreno Glacier and far beyond, to the most remote corners of Patagonia. Can they uncover the dark history of the most infamous lithic art collection in the world? Generations have killed and died trying to solve its mystery, and now Laura will risk her career, her life—and her own secrets—to be the one to do it.